Daleys Fruit Tree has Plants for Sale to Aloomba and can Mail Order them to you door. Click to Find out how much Freight Will Cost. 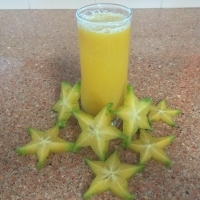 This star like fruit has five golden wings that reveal a star-shaped pattern when cut crosswise. The juicy transparent flesh has a citrus quality with a floral accent and is delicious eaten fresh, made into juice or into a delicious chutney. Seedling grown from the popular Kary selection, which we have found to begin cropping in 2-3 years. This Abiu is from seed stock of the elite Z4 variety which has sweet, low latex and bruising qualities. 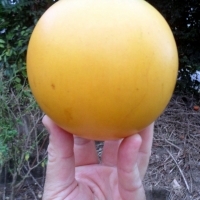 The abiu is a smooth, brilliant yellow fruit with sweet translucent flesh. It's delicious flavour is reminiscent of creme caramel and it is sometimes used to flavour ice cream and make other desserts. The fruit is considered a delicacy for those who can grow it successfully, and thrives in warm subtropical and tropical conditions.